I am actually behind in my own SAL! I guess helping my children with hospital visits, lifts to work and finally emigrating took it's toll on my stitching time. Real life hey? Gets you everytime. Never mind. I have stitched the wee maid before so I knew she would come out ok: I wanted to make sure I could pre-stitch areas which might need tweaking..and to an extent the horse did. I had to change the colour of his mane and tail but you know what? I am really pleased with him. I have never charted a horse before so the fact it looks like a horse is quite impressive! Before I reveal him I have two wee reminders. If you look at my sidebar you will find a link to my last post in which I have announced my Christmas giveaway. Please leave a comment to be put into the draw...I promise a box of goodies to make you smile..I did some shopping today and have started to put it together...gee...I wish I could enter! You have to have something horse drawn for a Victorian chart really don't you? A typical Victorian Christmas would involve the family all going to church before returning home to the Christmas Goose! And what better way to travel than by sleigh? The chart is on the blog's Christmas SAL page along the top bar. Finally for this week, I took part in my Irish Yahoo Groups Secret Santa and it arrived this week. I know you're meant to wait until Christmas but I have no will power and we were allowed to open them early if we wished! I love the little snowman ornament: I love snowmen full stop! Thank you Secret Santa! Your horse looks fabulous! Great goodies too ~ that snowman is so cute! A lovely secret santa gift you received. 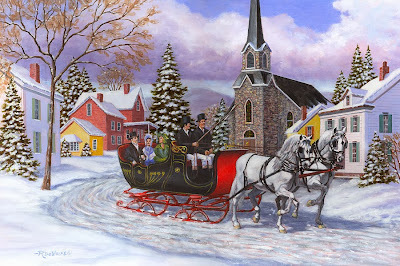 Love the horse and sleigh, you can almost hear the clip clop of the horses hooves, well done! Your latest SAL part is great & love the goodies, the snowman is lovely! Your Victorian Christmas is beautiful. 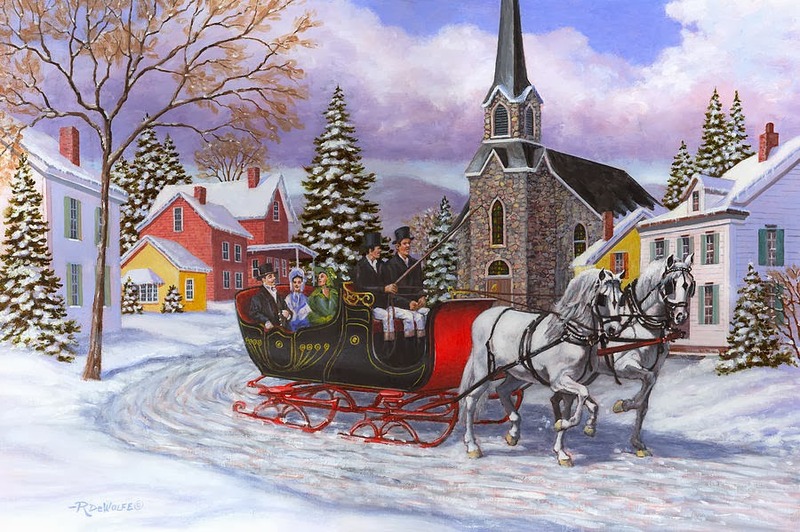 I love the idea of the horse sleigh and family. What a sweet snowman ornament. Your Secret Santa did a fantastic job on the ornament and package. Your SAL is looking amazing, love the horse. Lovely SAL you have designed so far! Glad you are finding time to juggle it all! What a nice snowman ornament. Great Secret Santa package! Hugs! The SAL looks amazing - I WILL stitch it next year. What a fund exchange package!